It’s always fun watching your progressive posts, it’s like a curtain slowly dropping to reveal the picture. It’s not too bad doing a bit at a time. On the previous two Cut Thru designs I left all the back stitching until the end and I didn’t mind at the time. I’d find it really boring now. I love your approach on this Avis, I am considering how I might apply this to my next piece! The completed sections look so intricate with all that back stitching, well done! They might look intricate but they’re not at all. 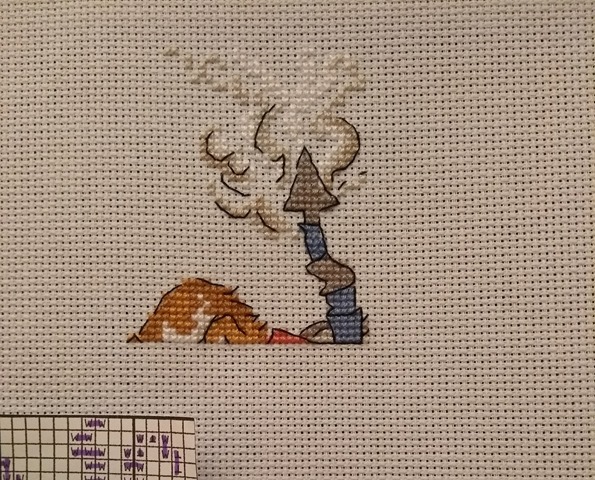 The cross stitching is easy with not too many colour changes. Bothy Thread designs always comes to life with the backstitch! Well done! Back stitching makes all the difference! Lookin’ good! 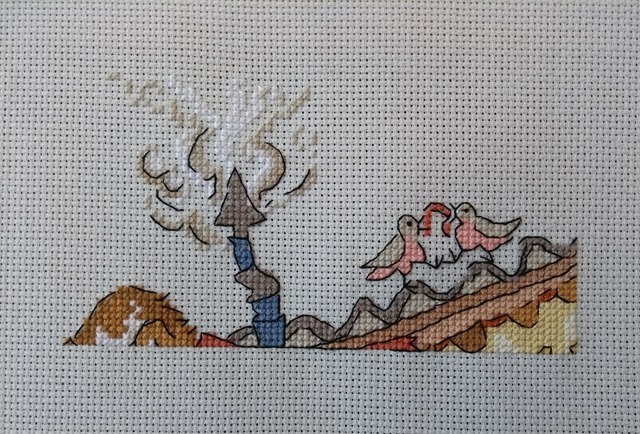 Before the backstitching I was convinced you had an angel on the roof! Loads of progress and looking good! Yes, I see what you mean. It’s just a lot of colour splodges before the outlining brings it to life. When I see the back stitching on your embroidery, I suddenly realize why it is so important with back stitches 🙂 It really makes a different! I’m working on this piece upside down for the first half so I’m clueless about what I’m stitching until the back stitch is finished for each section. I rarely look at the cover photo while I’m stitching. I love the way you are progressing on this piece. 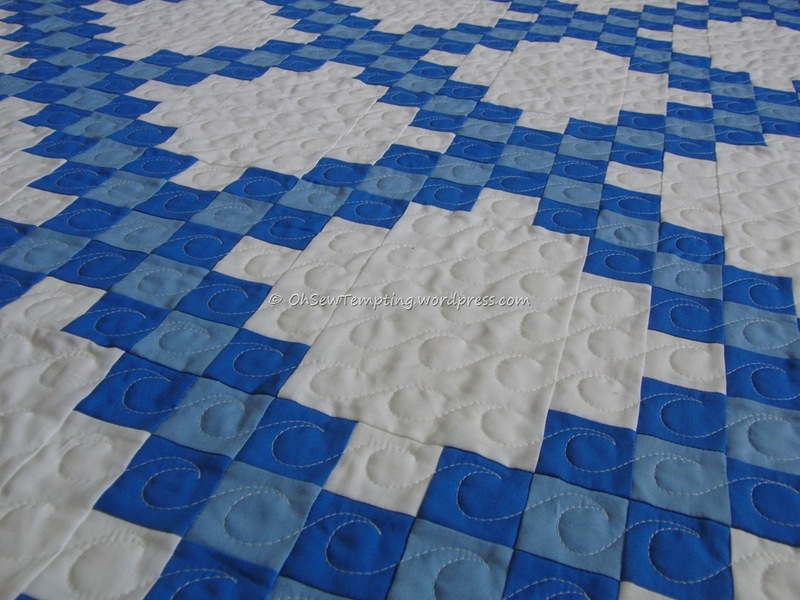 I agree with the above comments – backstitching really bring a piece to life! The cartoon look definitely appeals to me which is why this is my 3rd Cut Thru project. You’ve made great progress! 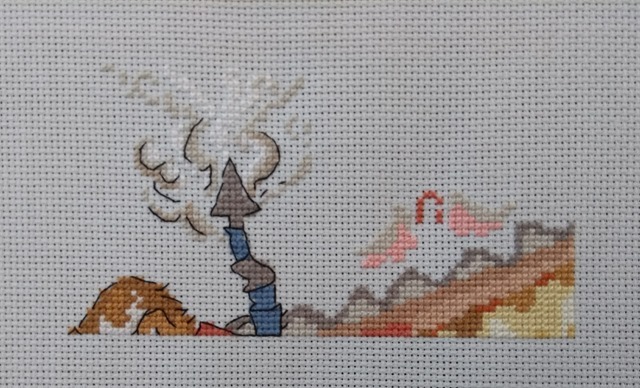 It’s great to see the backstitch bring it to life too. Another fun piece! I can’t believe how much difference the back stitching makes. This looks like it’ll be a really fun image once it’s done too. Yes, if the other two are anything to go by we’ll all seeing it hanging up on the wall.